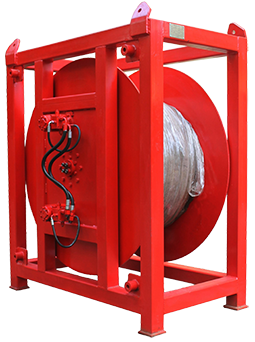 We provide connecting solutions between Hydraulic Power Packs and Hydraulic Equipment with step-less revolutions of hose so that hose can be wound and unwound automatically with the push of a lever on Power pack. They are available in various options of hose lengths and number of hose connections. Reel drive systems can be used for any equipment that requires Hydraulic flow at a remote location for operating equipment.